Add the finishing touch to your bathroom design with bathroom cabinets and bathroom mirrors that are as fashionable as they are functional. Whether you are looking to increase your storage space or reflect light in your bathroom; we stock a range of useful wall mounted bathroom cabinets that come with integrated mirrors. Keep your bathroom tidy with wall mounted bathroom cabinets that can hold all your toiletries and bathing essentials. Choose illuminated bathroom cabinets that are fully mirrored and provide adequate lighting for shaving or applying makeup. Whether you are looking for traditional or contemporary bathroom mirrors and cabinets; you can find wall mounted bathroom cabinets to suit your needs. Find a huge selection of bathroom mirrors and bathroom cabinets at Trade Bathrooms. Whether you are looking to increase your bathroom storage space or add stylish fittings; we stock beautiful wall mounted bathroom cabinets and illuminated bathroom cabinets to suit your needs. 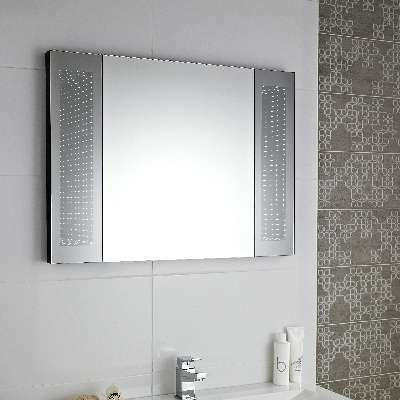 To find out more, browse our collection of bathroom mirrors and bathroom cabinets online today.